XEJPV was heard simultaneously on 1560 with XEFV on 1000 both transmitting from Ciudad Juárez. At the time of reception in October 2102 XEJPV still used the name “Radio Viva”. 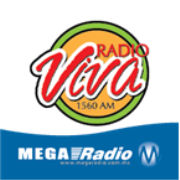 Since then R Viva is now carried by XEF on 1420 and XEJPV is Indie 1560. My mp3 from October 2012 was confirmed via FB as was the confirmation for XEFV La Rancherita 1000.